Hi! It's been awhile. For those of you who don't follow SR on either Instagram or Facebook, I'm sure that it feels like a very long time. I haven't fallen off of the face of the earth, honest. I've been finishing up a couple of projects and it's the end of the quarter at my day job so I've been a little "absent" but I'm back and I've got a lot to show you in the next few days so thanks for hanging in there with me. 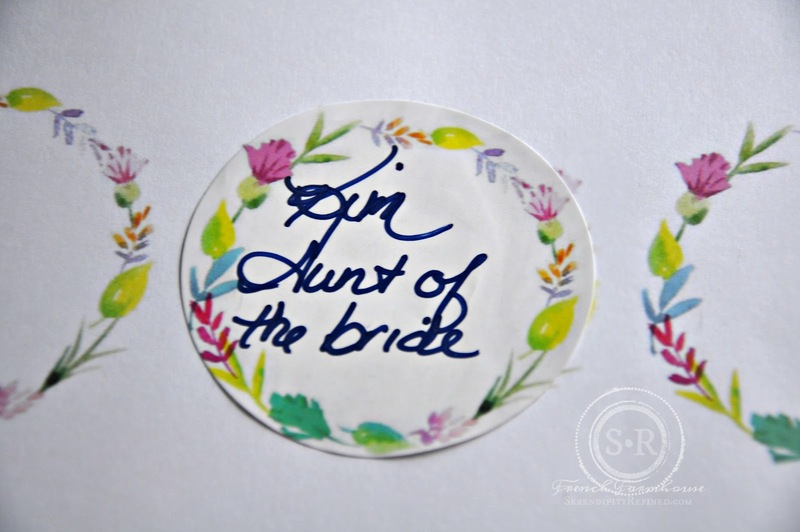 I've decided to share the pretty thing first: a spring garden themed bridal shower. Last weekend, I had the honor of hosting a very special bridal shower for my sister's daughter. There's nothing that I love more than a party...especially when it's a party to celebrate the upcoming marriage of a young couple that I love so much. It was a combined shower for the families of both the bride and the groom, friends of the couple and girls who work with the bride so it was held at a local event venue. Given that it was on the day before Easter, hosting at a location other than someone's home also turned out to be a great idea. 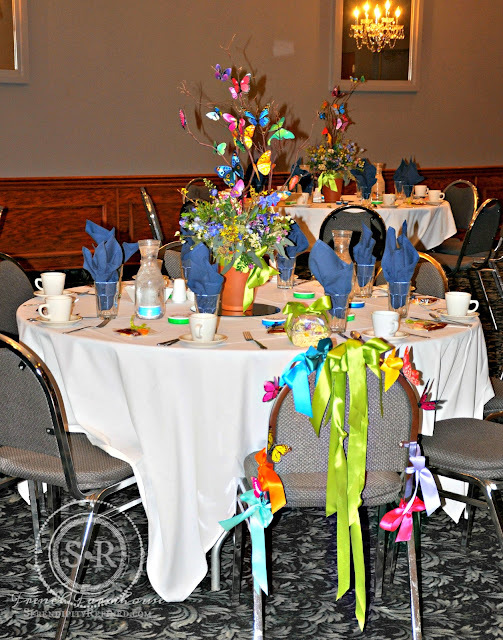 I chose a spring garden theme for the shower which incorporated the colors of the wedding, apple green and navy blue. 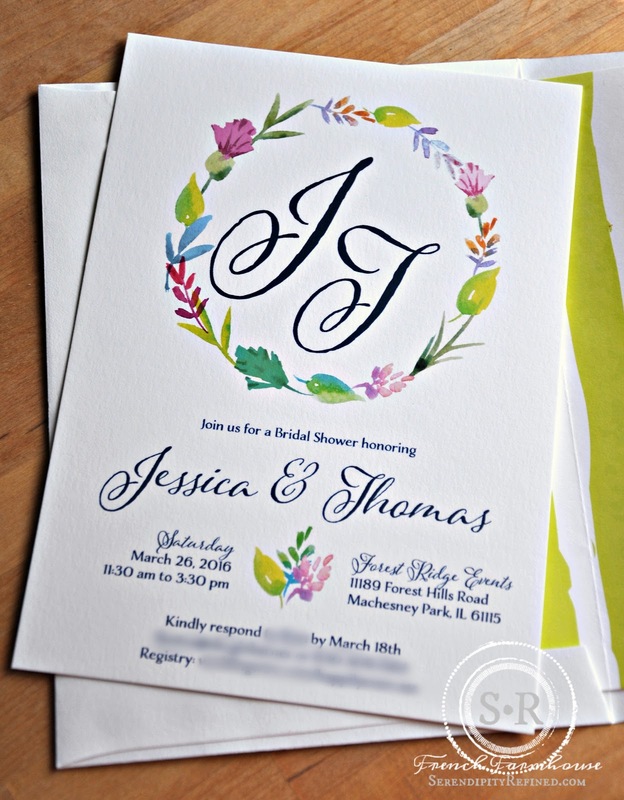 Once I found the invitations, developing an overall theme was easy. 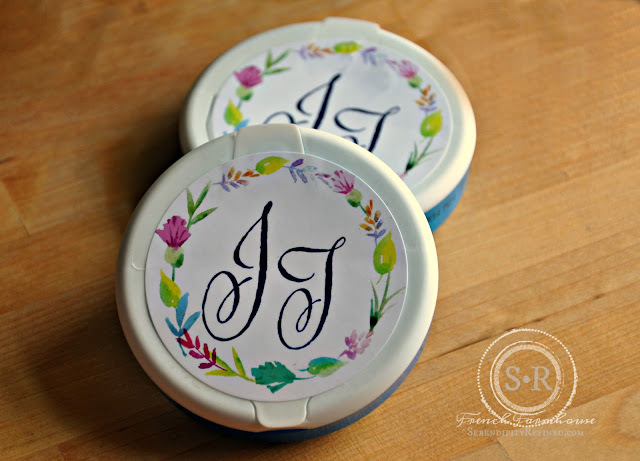 Sheets of two and a half inch self adhesive labels became name tags and the labels for tins of sugar free breath mints which were a thank-you for attendees. 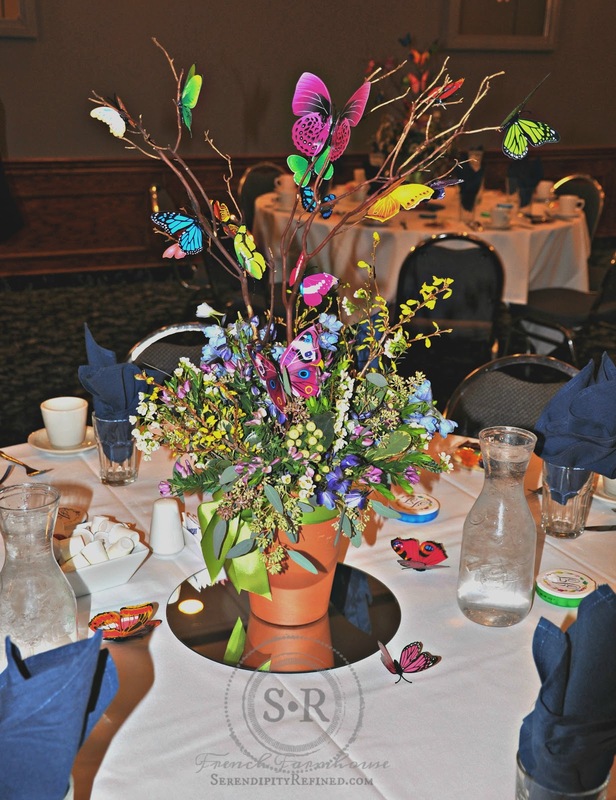 I assembled centerpieces using terracotta garden pots which were filled with sprigs of spring blooms: forsythia, delphinium, seeded eucalyptus, wax flowers and other small spring flowers. In the center of the arrangement, I placed branches to which I hot glued multicolored butterflies. I tied each pot with a simple bow in apple green ribbon. I scattered a few butterflies around the base and completed the tablescape with navy blue napkins and sugar cookies in the shape of flowers. We decorated the bride's chair by simply tying different colored satin ribbon bows and adding a few butterflies. 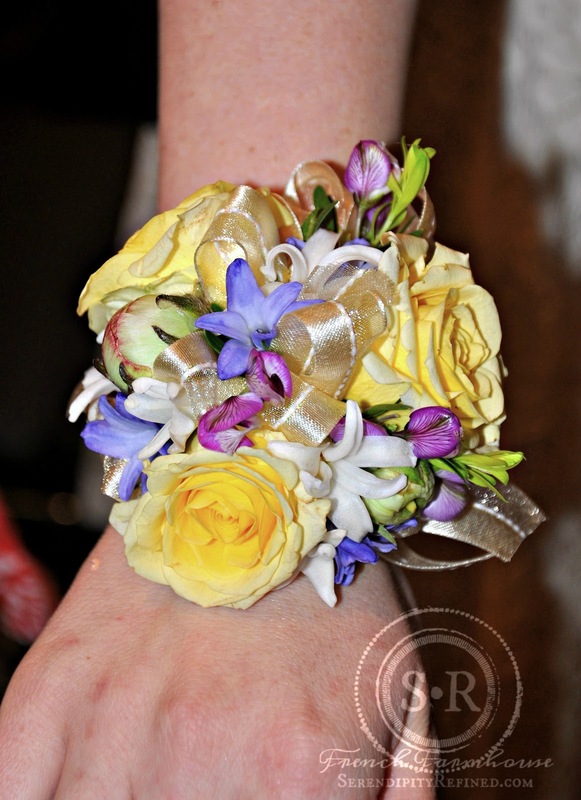 And finally, I made my very first wrist corsage for the bride using yellow roses, hyacinth and wax flowers. Hosting a spring garden themed bridal shower (or engagement party, birthday party, or Mother's day luncheon) doesn't have to be difficult or expensive. 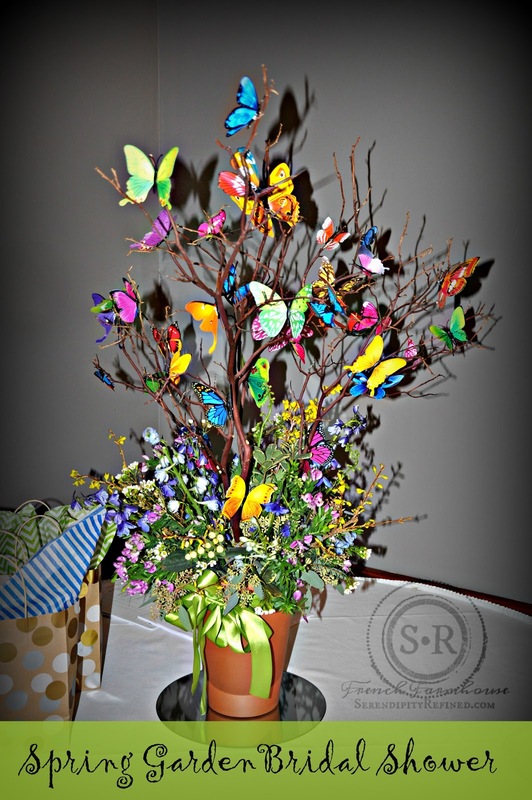 Centerpieces in terracotta garden pots fashioned from flowers from the garden or seasonal blooms from the market, twigs and butterflies make a sweet and sunny statement. Add a few self adhesive labels and voila!, a theme is born! Stop by on Friday to see photos of another of my recently completed projects: a craftsman home remodel.